When it comes to the hdd repair and data recovery from USB WD drives, many data recovery engineers, especially those who are new to data recovery may feel it a hot potato even if you have some existing hdd repair tools. Clients need to learn how to convert into SATA interface and get it connected by adapters to the hdd repair tool when there’s firmware corruption. 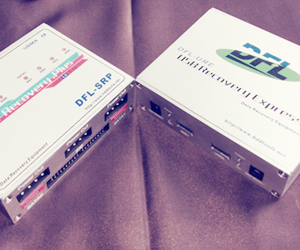 Dolphin Data Lab has claimed their DFL-WDII is able to deal with the firmware failure of USB WD drives directly by the tool itself. 3rd, When the USB WD drives are not detected at all due to firmware failure, this one is even more difficult and within the new DFL-WDII hdd repair tool, this feature is being added to support and available for free for all the existing users in the upgrade program. It seems DFL-WDII hdd repair tool is now the only one tool supports direct operation in firmware area of USB WD drives. Clients just need to connect the hdd to pc and simply run the DFL-WDII hdd repair programs, you can handle the firmware corruption. For Undetected USB WD drives, users will need to use the COM port by transferring ATA commands to fix the firmware failure. Besides above unique hdd repair feature, Dolphin Data Lab claimed they have many other innovative hdd repair and data recovery features which help data recovery engineers maximize their data recovery success rate. To learn more about this hdd repair tool, you can visit DDL official website at: http://www.dolphindatalab.com/ or you can read the DFL-WDII review here.